Guests can linger over dinner or dessert without feeling rushed. Norwegians ships feature a Restaurant Reservation and Table Management system. Flat-screen TVs placed in key, high-traffic areas around the ship show each restaurant current availability status. Indicator bars reflect when each restaurant is full, short wait, filling up or empty. Screens also show an estimated wait time in each restaurant. If a restaurant is full and guests would like to wait for an opening, the hostess will quote a wait time and issue a pager that works all over the ship. This allows passengers to sit down in a bar, enjoy a pre-dinner cocktail, and listen to one of the ships many entertainers until their table is ready. One completely optional formal night (two on cruises longer than 7 nights) offered in various areas of the ship for those who enjoy dressing up for dinner. More crew members provide a higher level of service and allow many public rooms and restaurants to stay open for longer periods each evening. On board every one of Norwegian Cruise Lines ships, theres accommodation guests dream of, a place to escape and call their own. 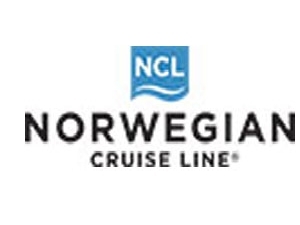 From inside staterooms, to oceanview and balcony staterooms; from mini suites to luxurious Garden Villas in The Haven by Norwegian; to the Studios, designed and priced for the solo traveller; Norwegian Cruise Line has the accommodation that suits all needs. Norwegian Cruise Line takes entertainment to a whole new level with world-class headline acts, musical revues, comedy cabaret and more. Guests can take in a show, take to the floor in an ultra-chic nightclub or take their pick of up to 22 bars and lounges.